Hey Delhi NCR peeps! 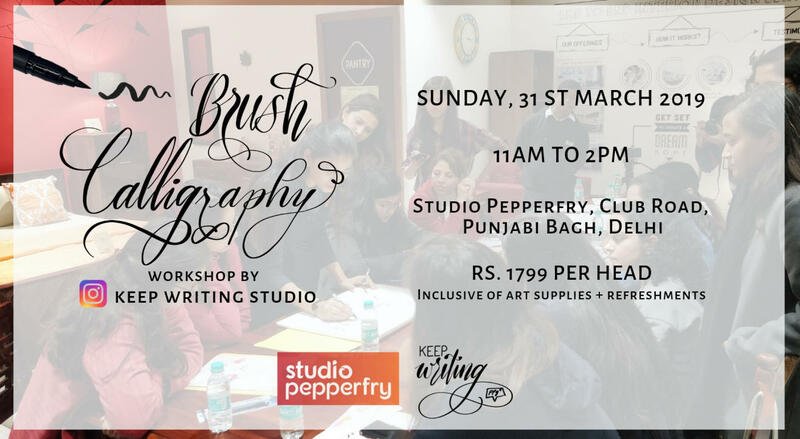 Here is an opportunity to learn the fancy art of modern calligraphy using International Tombow Brush pen. Join me for a fun and interactive workshop to refine and push your lettering skills further than ever before. It's a three hour session where all the art materials will be provided. In the session, you will start with basic warm up drills and I will make sure you complete intermediate level by learning all techniques. The workshop will help you explore new skills by designing your very own quote on a ready to frame watercolor background artwork. To learn more about the artist follow @keepwritingstudio on instagram.